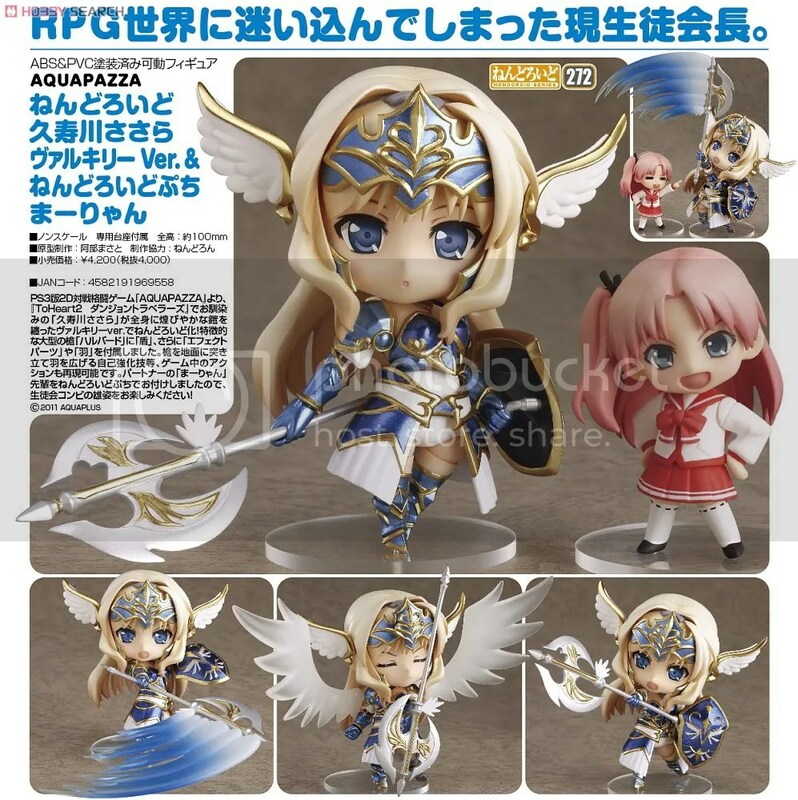 GSC’s Nendoroid Valkyrie Sasara Reservation Starts!! | Wcloudx (kumo)'s Blog - Ramblings about Figures, Gunpla, & More!! « Alter’s Mirakurun Reservation Starts!! GSC’s Nendoroid Valkyrie Sasara Reservation Starts!! This new “Nendoroid Kusugawa Sasara Valkyrie Ver. & Nendoroid Puchi Maryan” from Aquapazza, will be available this coming December 2012 by Good Smile Company for 4,000 Yen retail price. Hobby Search is taking reservations for the set as of today. This entry was posted on August 30, 2012 at 5:06 pm and is filed under Figures, Good Smile Company, Reservations. You can follow any responses to this entry through the RSS 2.0 feed. You can leave a response, or trackback from your own site.